I found this video on YouTube today. I think it has been making rounds these days on Facebook too. You must have look at it. It moved me and like the video says " BOL" . One cannot keep quiet. Come summer my best buddies are orange tang, orange ice candies and bright white/ orange clothes and accessories. Spring has got us some beautiful blossoms in the air. So why not combine the two for a lovely nail art representing the spirit of the season. Read on for more pics and products used. Time for one more City Update. This time its not exactly city but a place near the city. Its a Weekend Getaway. Matheran is a Hill Station in Raigad District near Karjat in Maharashtra. Its is about 2.5 to 3 hours driver from Mumbai city. It is the smallest hill station in India. Its at a height of 2600+ feet above sea level. Know a unique feature about this place? Its 100% fossil fuel free. That means no cars, trucks, bikes or anything that emits pollution. Imagine how awesome this place is. I along with hubby and some friends visited this wonderful abode last weekend and here is what we did and some tips for you to plan your trip to Matheran. Read on to know more about this place. 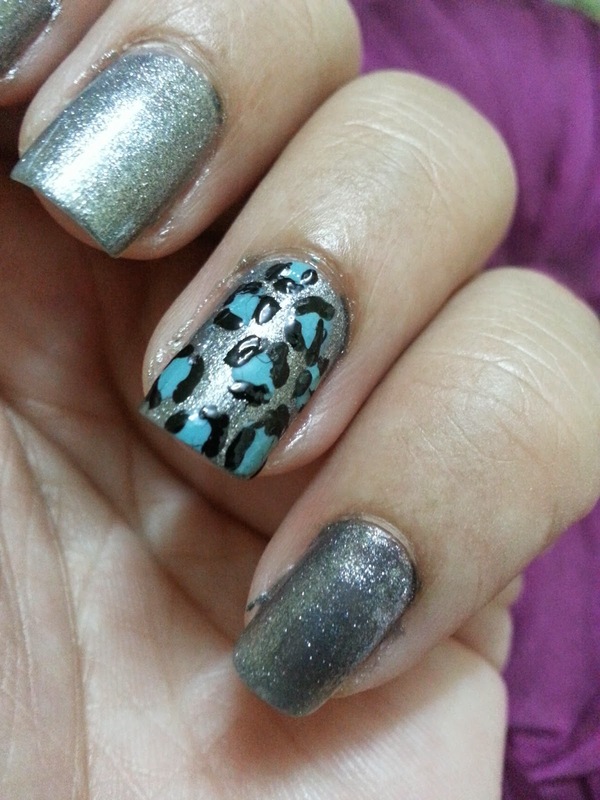 I always thought that an animal print nailart and rose nailart were next to impossible for me. But the only thing I had to do is look and observe the design very very carefully. I not only understood how its made but I happened to try it on my nails too. This happens most of the times to us in our lives. The problem is our lack of patience and short attention span. Na..... na.... this is not a philosophy class. Its just a thought. Do you need a simple tutorial for this? Leave a comment. 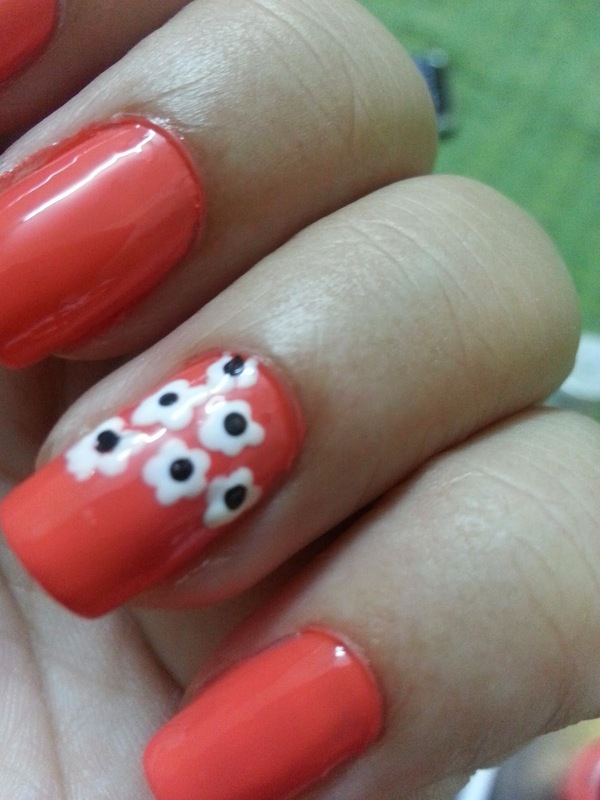 Here is what is on my nails these days. I have heard many people many saying they have a signature perfume and prefer to wear only that every single day. Ofcourse, with that you know who walked into the room even if you are not watching. But personally I feel I get bored with one single perfume. I love variety in perfumes. Although most of my favourite perfume would fall under the same category. For Ex: I love perfumes that have floral , aqua and citrus nodes, very sweet perfume are a totally no no. You will always find Jasmine, Aqua , Citrus and Lavender in most of my perfumes. Too much sugar, honey are no for me. 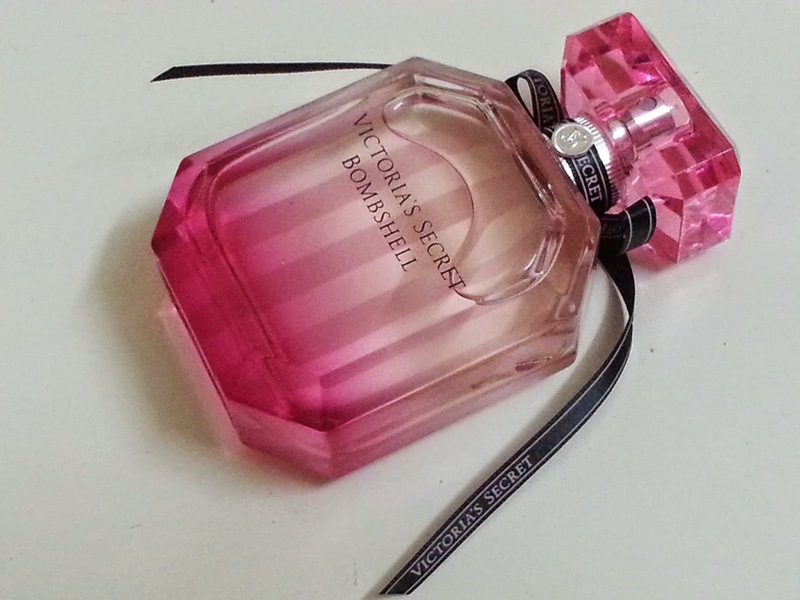 I had picked Victoria's Secret Perfume - Bombshell body mist since a year. I accidentally happened to pick this at a beauty store. I loved t so much that I had to get my hands on the perfume for sure. I had been searching for it everywhere, in the stores and online. But it wasn't available in India at all. I wanted to get it from abroad. I mentioned about this to my hubby a couple of times. On Valentines Day this year, he requests his friend to get it from Dubai. And here is what my Valentine Gift was. Adorable isn't it? To read about the perfume. How it smells? How long does it last? What is the sillage of the perfume? What would you like to read more? "My Gourmet Party" - Royal Indian Theme. « I confirm the subscription of this blog to the Paperblog service under the username MissBoPeep. Picture Window theme. Theme images by ranplett. Powered by Blogger.